Researchers once took for granted that human brains stopped growing new cells after a certain age. This is true in mice and non-human primates, and would explain why aging adults lose plasticity and other brain functions. But a growing body of research has begun to challenge this idea. The latest, reported in Cell Stem Cell this week, found evidence of new neurons and their stem cell progenitors in brains as old as 79…some with numbers of neurons on par with younger brains. Columbia University neurobiologist and study author Maura Boldrini describes the work, and why we’re still resolving questions about aging brains. JOHN DANKOSKY: This is Science Friday. I’m John Dankosky. It’s well-known that as we age, our minds often change. Our brains can slow down. We have less plasticity and ability to learn. Our emotional regulation can be affected as well. For a long time, the explanation was that neurons– we just aren’t growing new ones as quickly as we used to. And it’s certainly the case in mice and non-human primates, anyway. But some researchers have been finding evidence to the contrary. In a study published this week in the journal Stem Cell finds that, in fact, the oldest brains in the sample showed just as much evidence of new neuron growth as the youngest– 80-year-olds on par with teenagers. My guest is lead author of that research, Maura Boldrini is a research scientist in neurobiology at Columbia University. Welcome to Science Friday. Thanks so much for joining us. MAURA BOLDRINI: Hi, how are you? JOHN DANKOSKY: I’m doing well. So what do we know for sure is happening to our brains as they age? MAURA BOLDRINI: Yes, so this story has been changing. And when I went to medical school, they still used to teach that the brain doesn’t make any new neutrons in adulthood. And then, slowly, we started seeing from rodent studies that this was actually happening. And that’s why I decided– at this point, more than 10 years ago– to start looking at this in the human brain. And Columbia seems like a perfect place to do this because they had been collecting brains from people who donated after death for decades. And so we started looking at neurogenesis in the human brain. And there was a seminal study in 1998 in northern Europe that showed that they could find new neurons made in the brain. They used the technique that is very much use the mice to use a molecules that gets incorporated into the DNA as the cell divides, and then figured out that the cell was actually becoming a neuron. And these were people that, unfortunately, were going to die. They were patients who had cancer, and then they donated the brain after. But this was a study that could not be replicated for obvious reasons. And these people were not young. They were in their 50s and in their 70s, and not healthy, and those neurons were there. So there was another study recently, fairly recently, in Science from Karolinska Institute, who found the method to, basically, establish the age of neurons in the brains that were collected after autopsy. 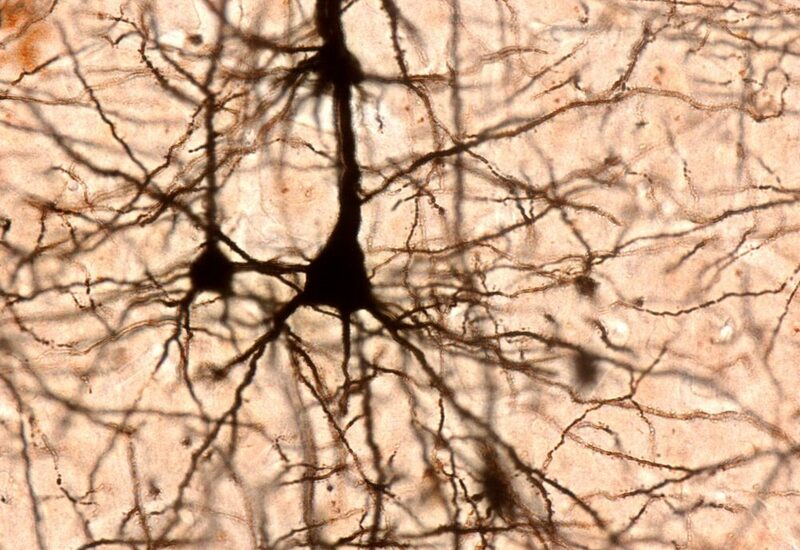 And they found that, according to their calculations, probably we make 700 new neurons per day in each hippocampus– this region that is very important for memory and for emotional responses to stress. And they found that this was true, even in people who were older. At the same time, there have been other studies, like the very recent studies in Nature, that didn’t find any new ones in older brains. JOHN DANKOSKY: Well, I want to stop you on that really quickly, and I want to ask why it does seem to keep changing? I was going to ask you about this study from Nature. It came to almost exactly the opposite conclusion. So why this variability? Why do we seem to keep going back and forth on this idea of whether or not we grow new neurons. MAURA BOLDRINI: Well, so neurogenesis, or the making of new neurons in adulthood, basically, it changes very much depending on the condition of the person. It’s known that pathology changes neurogenesis. So the people who were analyzed in the paper that came out in March, basically, they don’t have clinical information on those people regarding pathology at the time of death, or medications on board at the time of death– if these people were taking medication or they were on any drugs. They brain collection at Columbia is different because we perform extensive clinical evaluations, including interviewing families and close contacts, and reviewing the charts, so we are very interested in studying suicide, depression, and the effect of treatment on the brain. So we are, at the same time, excluding the diagnosis in people that are going to become controls for our stockings when we want to study these delicate situations. So in our sample, this time that we chose for the aging study, we selected those with demonstrated no neurological, no psychiatric diseases, no medication, no drugs. So these were clean brains from people who died, and they were healthy aging individuals. Those individuals that end up dying of sudden death, accidents, myocardial infarction, but they were not cognitively impaired. And we all know somebody in their 90s that is super sharp, right? Age doesn’t have to come with cognitive impairment. JOHN DANKOSKY: Sure. But then, what happens if, indeed, your results are correct, and we are growing new neurons, what is happening to cause the cognitive impairment? Is it something else about the brain that is not connecting these neurons even as we’re creating them? MAURA BOLDRINI: Yeah, so we didn’t study the people with cognitive impairment. And that’s definitely a next step. What we found in these normally aging individuals is that one specific protein that is related to some plasticity events in the brain, this protein is expressed when the neuron makes new connections, or when migraines in the region, or when grows– the branches that reach other cells. So this protein was, in particular, a little less expressed, found in fewer cells, or in fewer new neurons in these regions. And also, we found less vascularization of these regions. So though we still find the same number of new neurons, but it could be that they are supported by less vasculature, fewer capillaries, and maybe less plastic. JOHN DANKOSKY: We just have a minute left. I have to ask you what you see as the practical application of some of your findings. I mean, do you believe that some of what you’re working on now may allow us to understand how we can be sharper at an older age, how we can continue to have brains that are functioning very, very well into our 90s and beyond? MAURA BOLDRINI: Yeah, so for people with normal aging, I would suggest that we know that these neurons are supported by aerobic exercise, by learning, by environmental enrichment, exposure to social situations and interactions. So we wouldn’t want older people to be isolated. We would want them to be active, engaged in things that are interesting to them, try to learn something new every day, exercise. And also, on the clinical side, I would want to compare my findings with findings that I could find in brains of people who actually had cognitive to see a decline and dementia of different sorts, and figure out what changes in those brains, and we know that there are molecules that regulate this survival, proliferation, maturation of these neutrons. And if those were changed in people with dementia, we could identify targets for new treatment. JOHN DANKOSKY: Well, that is all the time we have. It’s fascinating stuff. I want to thank our guests Maura Boldrini. She’s a research scientist in neurobiology at Columbia University, which seems to have an amazing brain collection. Maura, thank you so much for joining us. I appreciate it. MAURA BOLDRINI: Thank you very much. My pleasure. Researchers map out how the behavior of airplane passengers affects the chances of in-flight disease transmission.